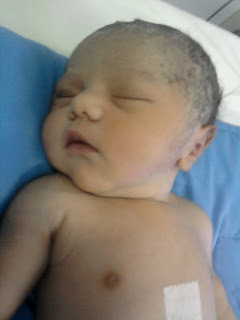 I was completely indifferent to awesomeness of children's world, until my niece came into our life on 28 Nov, 2011. In these 8 months I got to know that a child bring enormous happiness in everyone’s life. They change us – a kind of change that you’ll happily accept. My ignorance was not something intentional. I just never happen to bump into kids before. It seems that I was the only person on earth who was aloof from this magical kingdom of children. Many likes and comments on the above mentioned picture confirmed my assumption. I observed that most of the likes and comments are from people younger than me. Young ones commented on her picture, like cho chweet, awwwww, beautiful etc etc. I couldn’t find any word, I just liked it. As they say sometimes silence is more powerful than words. In social networking site I think liking do the job of silence. An unknown boy commented on her photograph “nish paap” meaning clean, sin free. This phrase resonated on my mind for long. How I wish I could be “nish paap” like her again. I wish I could be like blank slate, free from any kind of ego, expectations, judgement, demands and pain. I wish I could remove the pain I had caused to some people unknowingly or knowingly. I wish, like her I could give everyone my heartfelt smile, for no reason when they look at me …just to make their day!!! While growing up, this baby girl, like all other kids will begin to forget her gifts with which God has sent her on earth. She will forget to find happiness in small things. She will forget that her mere smile can make her closed ones happy. She will forget that she doesn’t need any guy to complete her. He was not there when she was born. There was no heartbreaks, pain back then. She will forget once she believed in fairy tales, magics and God. But I hope when this happen, like me she also collide with a child who’ll help her regain her faith once again in life and people.